DCom, spol. s r.o. - představení společnosti DCom, spol. s r.o. 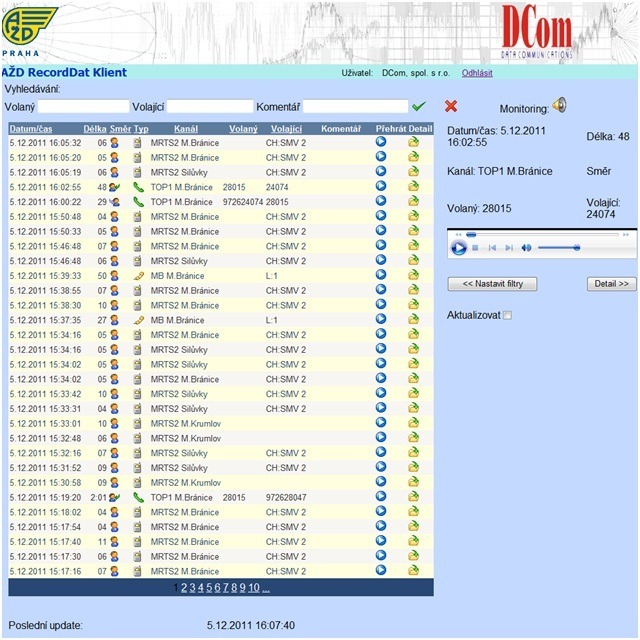 The Radiovoice 3 Dispatcher System ties up with the previous dispatching systems developed by DCom and further expands their possibilities. It is designed for usage both in the large companies in the area of transportation and industry and in the public services such as fire brigades, rescue corps, etc. 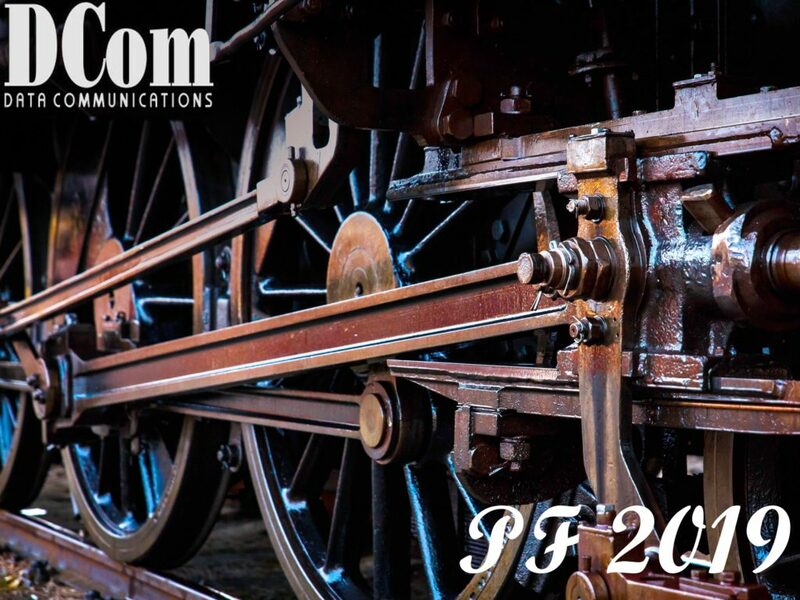 For the communication the system uses standard IP networks protocols and it enables co-operation with additional applications according to the customer requirements. The system offers complete solution of dispatching workplaces using VoIP communications. 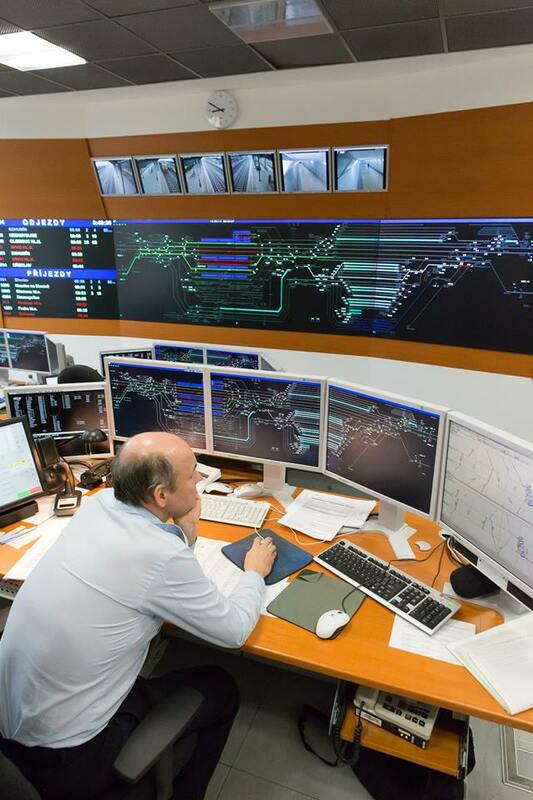 Individual dispatching workplaces and communications equipment can be deployed over a vast territory (region, country) and interconnected through all devices enabling data transmission in the IP area. The system allows connecting a wide range of communication equipment used in dispatcher’s control such as radios, telephones, MB telephones, local radio and GSM gateways. Dispatchers operating the system can share the equipment and use it at the same time, communicate among themselves substitute each other. 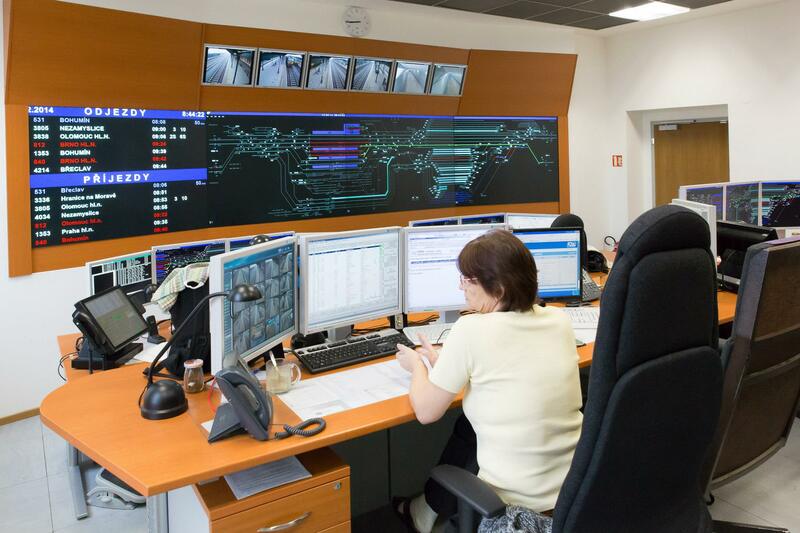 In this way, control networks composed of local dispatcher workplaces and central dispatcher are set up. With the flexibility and availability of IP networks, the system enables quick and easy transfer of dispatching workplaces, which is advantageous for solving difficult situations. Radiovoice client application, providing control and communication with the selected communication equipment. Radiovoice server controls and mediates communication between client applications and individual communication equipment. It provides communication checking and it gives authorisation for the access to the system. Communications equipment consists of terminal executive parts of the system converting requirements mediated by a server to executive outputs. This group consists of remotely controlled radio stations, remotely controlled MB multiline phone sets, remotely controlled central local radio and telephone exchanges. Support facilities of the entire system are used for recording voice communications, communication with other systems e.g. automatic announce system of the local public address system, power supply of individual equipment and remote supervision and control. Radiovoice client served by the dispatcher from TOP workplace connects to the Radiovoice server which facilitates him control and communication with remote-controlled radio stations, MB subscriber sets and radio, further he connects to VoIP telephone switchboard for normal telephone connections. The Radiovoice server provides coordination of work of individual dispatchers with communication equipment to avoid any simultaneous access of more than one dispatcher to a single communication equipment. This can causing lack of communication clarity from the dispatcher side. 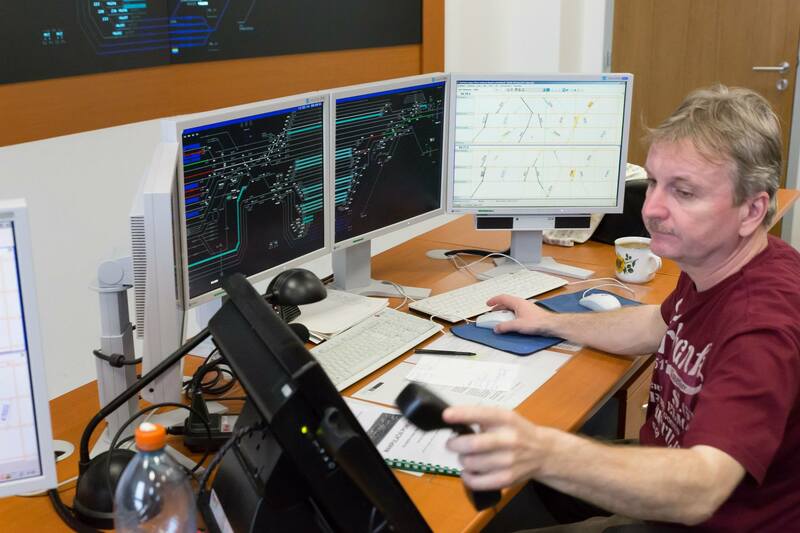 In the opposite direction the dispatcher selects himself the communication system output which he wants to listen to. Eventually he can listen to the communications of other dispatchers. 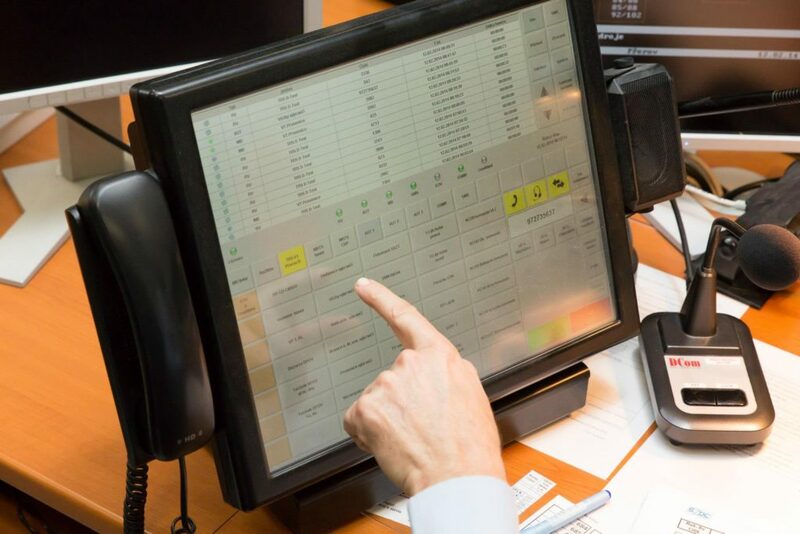 The system further periodically checks connection with individual communication equipment and in the case of communication or function loss it informs the dispatcher through the client application. This gives the dispatcher the opportunity to use flexibly a different manner of communication. The confirmation regarding required changes (e.g. radio channel switching) is sent directly by the relevant communication equipment to the client application. Therefore it cannot happen that other than the current proper state of communication equipment is displayed in the client application. All communication is recorded. Thus obtained recordings are stored in individual switchboards (for phones) and servers (for other traffic) and also in the recording equipment. This enables both playback of recording by individual dispatchers and also failsafe storage in the case of an eventual need. 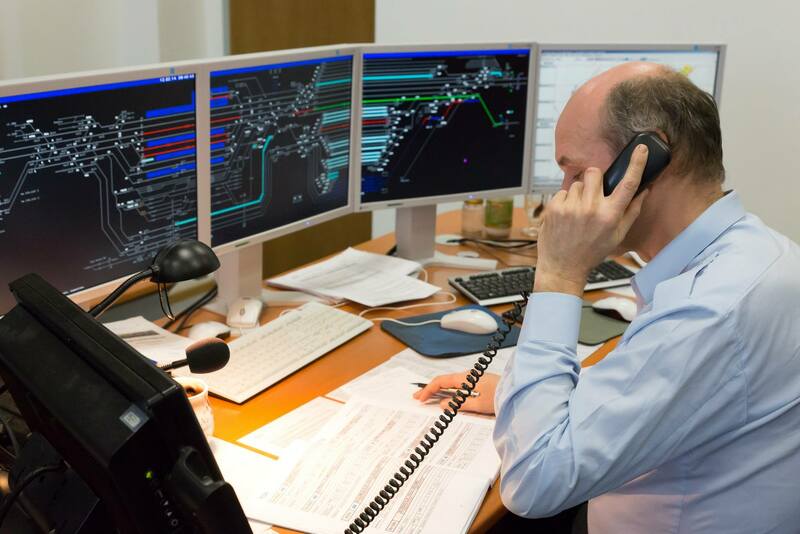 In the event of failure, when a long-term communication with any communications equipment through the dispatcher control is not possible, it is possible to operate this equipment locally and also to record locally theoperation. Thanks to VoIP technology no quality deterioration takes place during network transmission after initial encoding of the voice into the digital form. 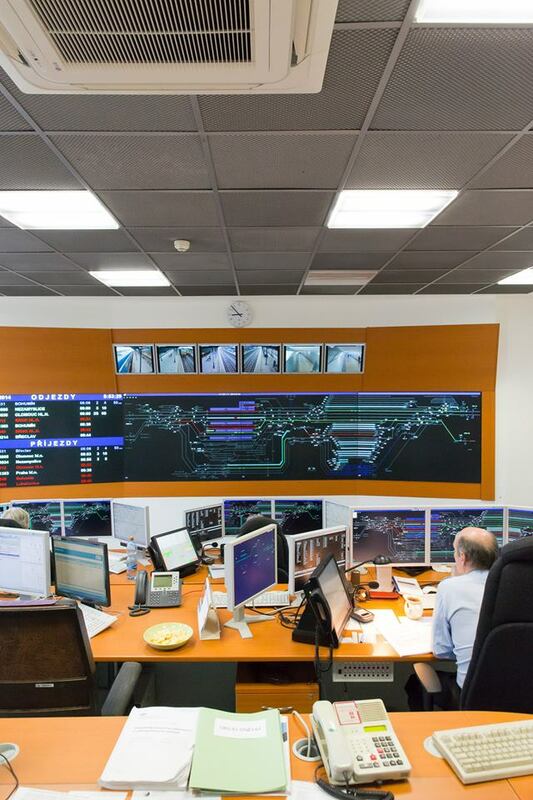 All elements of the integratedvdispatching system allow (using standard SNMP protocol) remote monitoring of its operational state and thus integration into the central supervisory system. 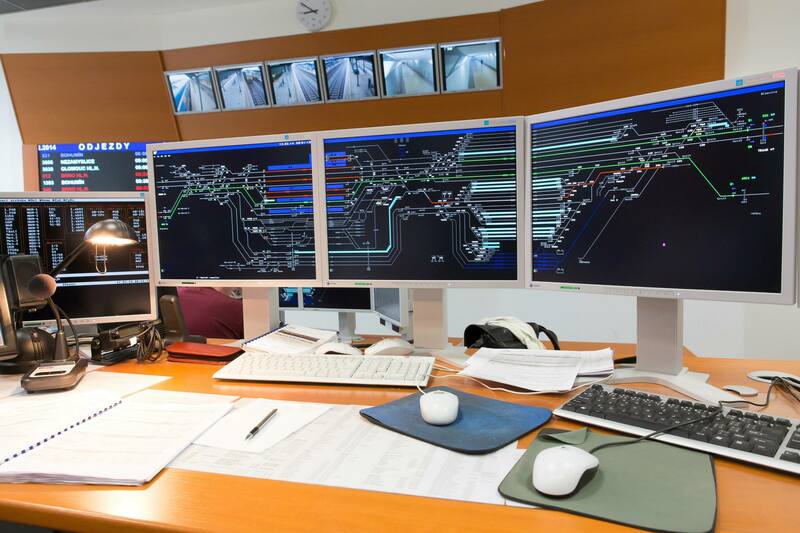 For all elements of the integrated dispatcher system the function of the synchronous time system is secured by the integration of real time circuits and for synchronisation NTP protocol is used. All communication with the supervisory system (both the current state and the operation history record) is earmarked by this synchronous time. 1. Radiovoice Server – the basic control part which provides connection between clients and communication equipment. At least one server is required for each independent dispatcher workplace or the line section. Typically it is installed on the rack together with the other network infrastructure. 2. TOP with application SW – user part of the system allowing the access of the dispatcher into the system. Typically it consists of a computer with the touch display but in case of emergency it can be also substituted by notebook. It is required for each dispatcher’s workplace. 3. VoIP PBX – telephone switchboard allowing calling by means of VoIP protocol within the Radiovoice 3 System. At least one is required for each independent dispatcher control unit. It is installed on the rack together with additional telecommunication technology. 4. Block RDST – communication terminal enabling to connect one or two radio stations into the Radiovoice 3 System. It is installed in the rack together with other communication equipment in a distant locality. The number of RDST blocks is given by the requirements of the transport technology in the specific locality. 5. MB multiline set – communication terminal used for transfer of signals from MB phones into IP space. It is installed into the rack together with other communication equipment everywhere, where the MB circuits converge. 6. Public address system switchboard – terminal used for connection of speakers of the local public address system. It is installed in the rack together with other communication equipment everywhere, where the local public address system has to be installed. 7. The power supply source with the remote supervision – support equipment used for power supply of individual units of the Radiovoice 3 System. 8. Universal supervisory equipment – support equipment allowing remote supervision and control Radiovoice 3 System units. 9. 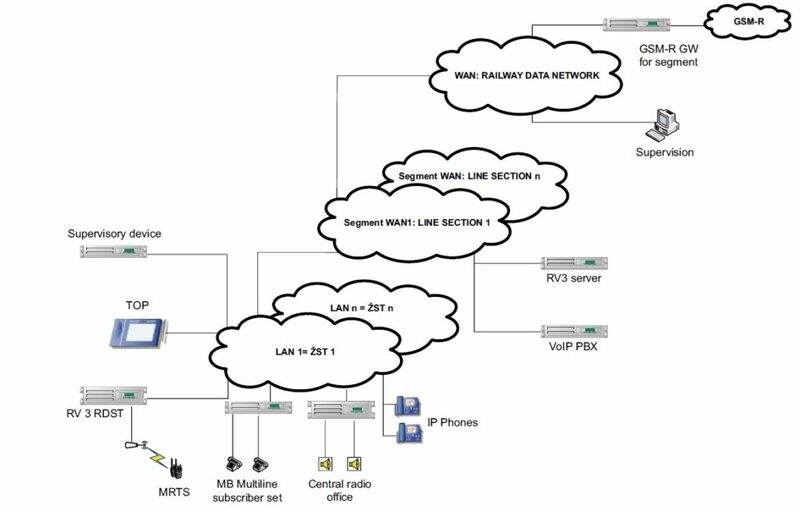 GSM-R gateway – gateway, allowing communication between GSM-R network and control workplaces TOP of integrated dispatcher systems. O2 Czech Republic, a.s. is the largest integrated telecommunications operator in the Czech market. 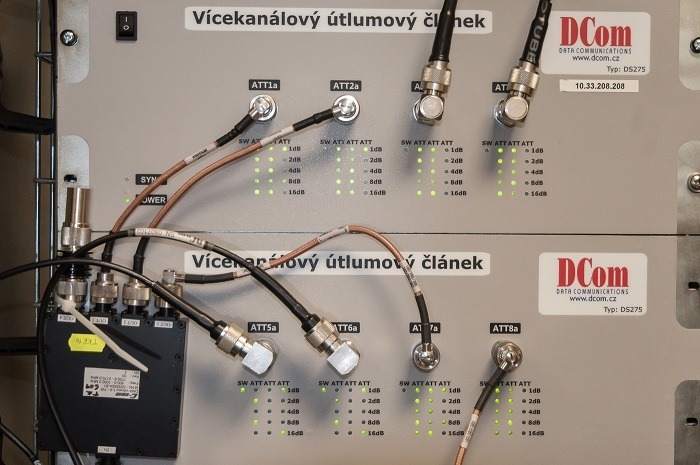 It takes great care to ensure the top quality of its telecommunications network services and before putting a new technology or technical solution into operation, it undergoes a very thorough testing in their test lab in Prague-Brumlovka. Within the laboratory tests, the settings and the software compatibility is verified and it is searched whether it is more beneficial to use components from a single manufacturer or whether devices of different brands should be combined. All these actions are performed in the testing laboratory. Such a laboratory should be a part of the technological base of each mobile operator. In the O2 test lab, several specialists are employed full-time. There, however, often work even whole teams of technicians from suppliers. Their task is to propose technical solutions so that in full operation, everything works smoothly. In the testing lab, they make an effort to anticipate all negative phenomena before the customers could notice them. The development in mobile communication requires more tests of mobile phones and base stations proper functioning. For testing the radio, part of these devices- specialized measuring instruments called radio testers- are used. Universal high-frequency measurement devices – power meters, generators, spectrum analysers, etc. – can be used too. None of these devices, nevertheless, enables to test the behaviour of the entire network, or at least a part of it (i.e. several base stations, several mobile phones and a possible interference from other users of the radio spectrum). 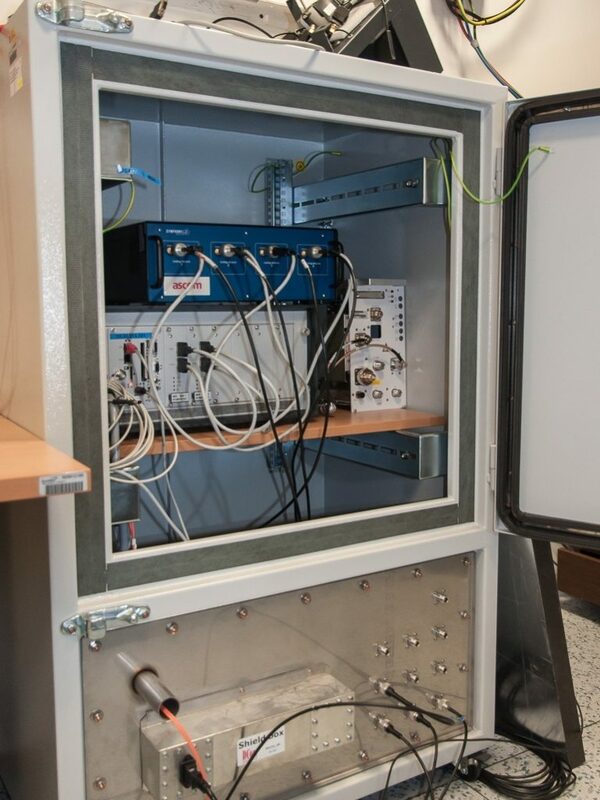 To simulate a realistic environment in the laboratory, a complex testing tool, in professional terminology called “interconnection coaxial matrix”, is vital. Signals entering the measurement process must first be lowered at the appropriate level and then mixed. 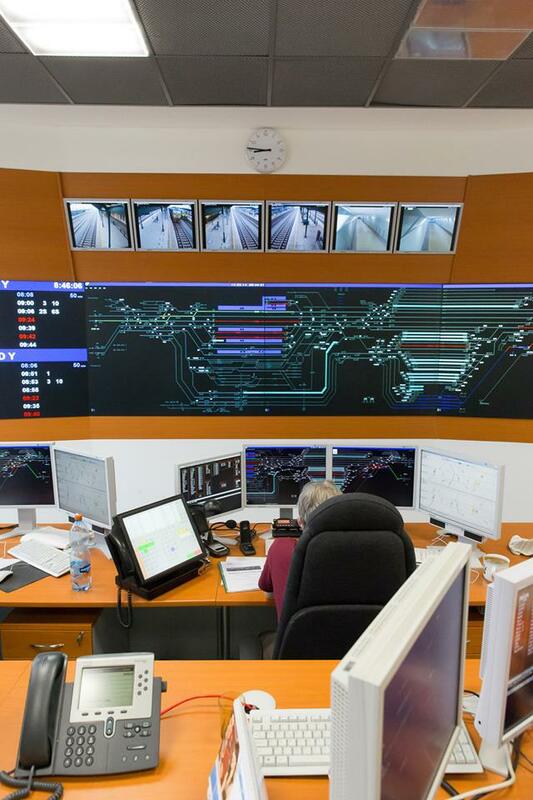 Interfering signals are added to useful signals in accordance with the needs of the measurements. DCom, s.r.o. 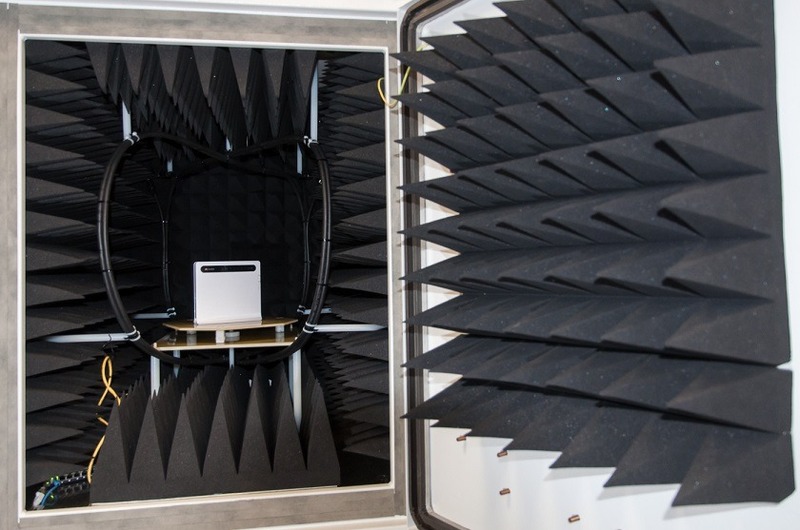 designed and manufactured a specialized measuring equipment: GSM TestBed, which enables to test the behaviour of a network consisting of 1-16 base stations, 1-4 mobile phones and 12 internal jammers with frequencies from 400MHz to 2.5GHz. (These are not noise generators.) The frequency band was chosen in order to cover all GSM / UMTS / LTE bands, i.e. 800, 900, 1800 and 1900, 2100MHz and further 450MHz band for O2 system CDMA. 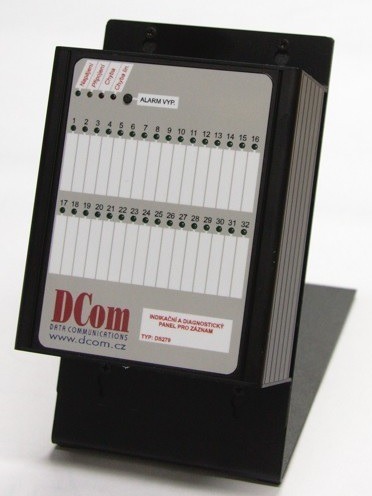 The basis of the device is an adjustable coupler 8X4X12 (16X2X12) of signals, which allows to con-nect any connected base station with any connected mobile phone and, furthermore, to connect any interfering signal with any mobile phone. The range of the signal levels processed by TestBed is from 50W (+ 47dBm) as for the base stations, through 5W (+ 37dB) for mobile phones and -40dB for generators to -160dBm for receivers. The electrical and mechanical concept of the whole device, made as a construction set of repeating modules, was subordinated to successful achievement of the regulatory scope. This concept was proved to be correct and, on top of that, it simplifies repairs or reconfiguration of TestBed. 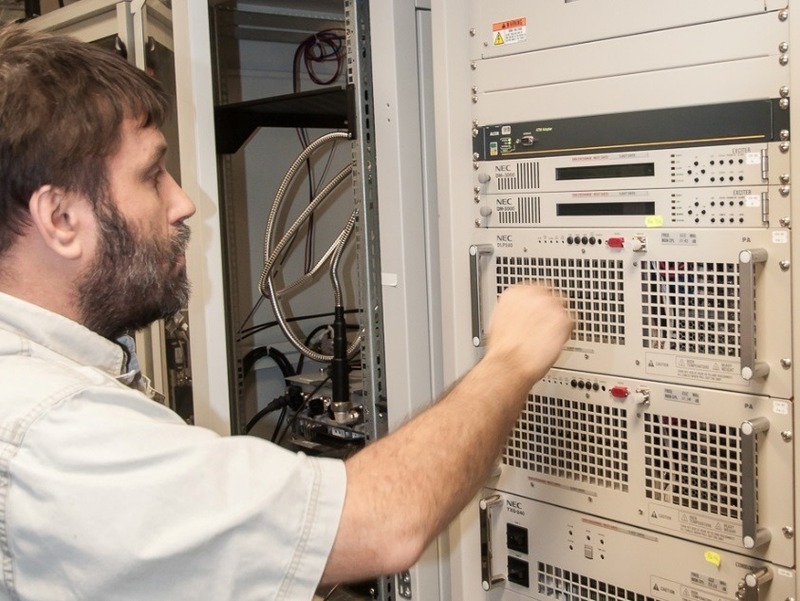 The control of the whole TestBed is possible in two ways – either by direct setting of individual components (attenuators, RF switches, noise generators, etc.) or via scripts – batches of predefined commands allowing long-term testing. In both cases the user is connected via Ethernet interface. This solution was chosen because of an easy remote monitoring. It allows the installation of TestBed together with the tested devices to a separated area, preferably shielded chamber, where the influence of external environment is further reduced. Thanks to the modular concept of the device, it enables a quick conversion of TestBed for other purposes, such as testing in WiMax system in 3,5GHz band. Multi-channel program-controlled attenuators allow software, very quick setting and change of the level of individual measured signals according to the testing needs to measure the behaviour of the mobile devices in the real run. 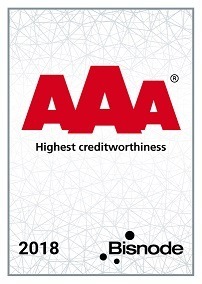 Another special product tailor-made according to customer´s needs are shielded boxes, ensuring that results are not affected by external influences. For the needs of the operator, there were delivered two types of shielded boxes. Frequency range: up to 2,5 GHz standard, up to 20 GHz optional. Shielding efficiency: 60-70 dB GSM/UMTS/CDMA/LTE bands, i.e. 450, 800, 900, 1800 and 1900, 2100, 2600MHz. Suitable for testing of mobile devices without the need to be connect through an antenna. Especially for LTE Multiple-input multiple-output (MIMO), the second type of shielded box: Shield Box 2 was designed. This box is equipped with an internal antenna and non-reflective 3D environment. Frequency range: up to 2,5 GHz. Modern technologies are rapidly penetrating into agriculture. The level of robotics and automation has significantly advanced and new technologies are helping to facilitate and improve hard work of people in this industry. Farms and farmers in the Czech Republic gradually modernize their fleet. Modern farming machinery is powerful, but expensive at the same time. That is why it is important to make maximum use of it so that the investment is quickly returned. In crop farming, machines must often return to the same place several times during the growing season when ploughing, sowing crops, spraying application, harvesting, etc. To achieve top results while saving the cost of expensive seeds and fertilizers and to obtain subsidies, precision is crucial. Modern agricultural machines are usually already prepared for or directly equipped with electronic control systems, so called autopilots that use a GPS navigation system for automated machine guidance. In the automatic mode, the operator does not have to be occupied with driving the machine, but checks the correct operation of all systems and pays attention to potential hazards that could endanger an employee or a machine in the field. The operator operates the machine according to the instructions of the control system only at turnabouts. The autopilot function is controlled with a prepared configuration and map data that are pre-loaded into the machine, so the operation itself is not complicated. The problem with the use of GPS navigation for the control of agricultural technology is a lack of accuracy. GPS system standardly achieves an accuracy of three meters on average, which, moreover, changes over time. If the configuration of satellites to the GPS receiver is unfavourable, the error can be even greater. This is sufficient for most applications, but for the needs of agricultural production, this is insufficient. For the improvement of accuracy, various correction methods are used. The best performance is reached with systems with a reference station. Deviation on the border area with a maximum distance from a reference station oscillates up to 3 cm using these systems. They have very good repeatability, so when the machine returns to the same place in half a year, it drives along the same line, along the same furrow and so does not destroy grown plants. Without the use of precise navigation tools, approximately 20% of the fields remain unused. A man driven machine can never be as precise as a machine controlled by robotic navigation. Large machines also have problems in turns. Sharp turns are very complicated and slow down the cultivation of the needed area. Using precise navigation of a working machine, the option of a field cultivation with omitting a line and with wide turns can be used. Skipped rows are cultivated during the second passage. If spraying is inaccurate, there occur areas that are unsprayed and strips where the spray was applied twice. In both cases this costs farms considerable sums of money because spraying was consumed, but a part of the surface was not treated and a part was sprayed too much. 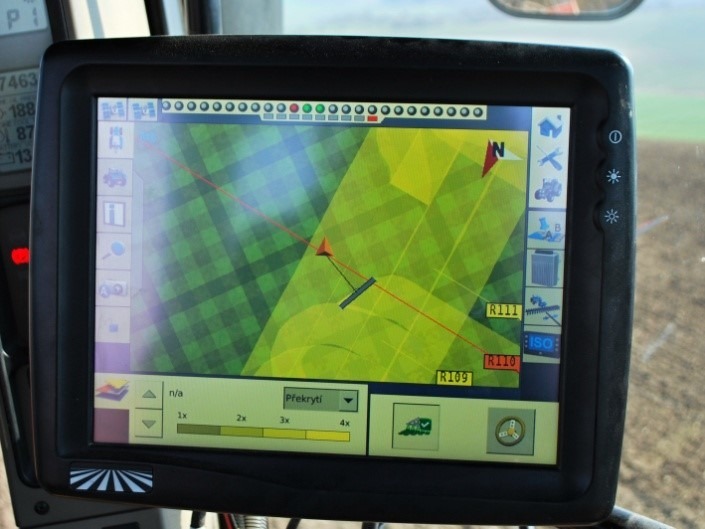 Data from machines controlled this way can be used for reverse engineering, which can track the yield of each crop in an observed area and adapt the machines for seeding or fertilizing. A great advantage is that when the machine is controlled by autopilot the same results can be achieved in reduced visibility or at night and the machine can be utilised for the maximum period possible. Another reason for accurate positioning is subsidies and division of land, where the absolute position against the Czech cadastre is crucial. The problem is that the GPS system uses the WGS84 coordinate system and the Czech cadastre uses the S-JTSK coordinate system. These coordinate systems are calculated in a completely different way. Conversion of these exists but thanks to the movement of lithospheric plates, it changes over time. It should not happen that the machinery gets in someone else´s land during the cultivation. As for getting subsidies, the exact localizing of land is also important because there is a relatively small tolerance of up to 10% of the cultivated area. To increase the accuracy of determining the position of the GPS system, there are several transmission systems of correction data available. There are satellite systems of correction. Their advantage is that they do not need any additional data transmission system but unfortunately they do not have sufficient accuracy and repeatability because the correction data are calculated for a large area. To obtain corrections, satellites in stationary orbits are used. Basic systems for satellite correction are the US WAAS and the European EGNOS. These systems have been developed for and are used for example in aviation and shipping. Modern GPS receivers can already work with these data. The problem with these systems during their usage in agriculture is that it is necessary to have a view to the south, where the satellites are placed in geostationary orbit. In the case that the view is shadowed, the correction is not available. Another option of positioning improvement is the simultaneous use of the Russian GLONASS system, which can be used by modern GPS receivers as well. When using these correction methods and means a good short term accuracy can be achieved but unfortunately sufficient repeatability of precise location, so that the agricultural machine would return to exactly the same place on the cultivated field at the next working cycle with an error up to several centimetres, cannot. Ground correction systems use correction against a fixed point where the location is precisely known. In such an explicitly defined point, a correction station is placed. It determines individual satellites´ errors against the actual position. Global systems use a network of stations and interpolate correction for a given area of interest. They offer sending correction signals as a service. The price of the service consists of a fixed price for a license for each machine and an annual fee for service operation. The price of these services is relatively high for Czech farmers. Further problems with these global solutions are reliability and availability of these services in the required area. In countries with a flat terrain such as the USA or the Netherlands, these systems work well. Data from these services are transmitted via mobile networks. The availability of these networks in sparsely populated areas with a complex terrain profile is usually not good enough to enable infallible usage of this system. In case that an agricultural machine loses a correction signal, it stops within 30 seconds and must be controlled by an operator. GPS Agro Pillot system was developed in cooperation with Zemědělské družstvo Rostěnice farm. Our solution uses its own reference base station with a transmitter of correction signals in the VHF or UHF bands; both bands are suitable for this purpose. Correction data are encoded into a data stream and continuously transmitted by a reference station. In individual agricultural machines, radio modems are placed, which receive the signal, decode and transmit it to the control computer. With one reference station built up in this way, an area with a radius of approximately 15 kilometres can be operated. When building up a system for the distribution of correction data, building a reference station is the most expensive. On the other hand the number of machines which can use the data from the reference station is not limited (data travel unidirectionally from the reference station to the machines). Individual farms in the region can share a reference station, use it together, and the cost of the initial investment can be divided among multiple users. For the transmission of correction data there are a number of different protocols available. Well-known are protocols by Trimble company: CMR, CMR +, RTCM open protocol supported by most manufacturers. Agro Pilot system is able to send two protocols simultaneously and the user is not dependent on a single supplier of technology. To cover the area which is not available due to the terrain profile or the distance of a machine from the reference station, repeaters that receive signals from the main reference station and transmit it to the desired area can be built. Unlike other solutions, an unlimited number of repeater stations can be theoretically realised. Data from one reference station are applicable with repetition of up to 30 km from the reference station with respect to the maximum permissible error. 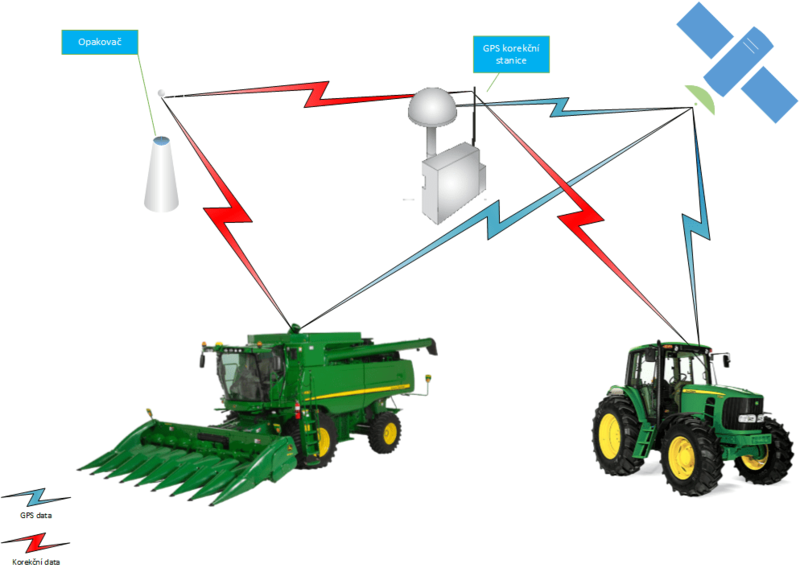 Agricultural machinery in operation automatically chooses the best signal and smoothly moves from the coverage area of one reference station to another. As part of this project even a reference station located in a place without electricity was successfully implemented using solar panels. The system offers a very quick return of investment because as for big modern machines financial losses per hour of work without an autopilot can reach several thousand Czech crowns according to the experience of users. Our company has many years´ experience building radio and telemetry networks and we are able to provide the user with a complex service ranging from a radio project with arranging the appropriate permits, delivery and installation to the subsequent long-term maintenance of the technology. 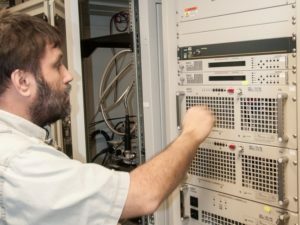 recording and archiving of calls and data information running on various types of telecommunication devices, for example analogue and digital lines, digital switching centres, VoIP phones and switchboards, radios, etc. All information about calls and system configuration are saved in the SQL database. Calls are recorded in standard mp3 and wav formats. Data information about the date, time, duration time and identification of dial out/in are assigned to each call. According to these dates, records can be simply searched and sorted. Access of users into the system is enabled according to authorisation given by the system administrator, by means of the web application with the multilanguage support. The recording device features a modular architecture. Records of calls are created by recording modules, using different technical means for example data cards or program modules. There are available modules for archiving of calls, for external diagnostics and user interface. The individual modules can be combined if necessary. Recording modules doesn’t need to be located in one server, but they can be located on several different servers interconnected by the computer network. Servers have been standardly equipped with two hard disks in RAID disk array; to avoid the data loss in case of hard disk damaging, they are equipped with the redundant power supply source. data records about them can be further archived on data storage, located in computer network, eventually on local external drives. The external diagnostic module enables supervising of the recording device state by means of the SNMP interface or the „Information panel“ application, which enables to supervise the state of the device and of individual lines and also of the “TOP” dispatcher workplace, by means of the state indicator.. The client and administrative interfaces are implemented through transparent web services.Users may not install any specialized applications on their devices through which they access the recording device. The application offers you the ability to search and sort your recorded calls according to a number of criteria. Users can access records based on assigned permissions. The recording device stores information on access, playback, and downloading of records. For the sake of clarity, the recording device management application is implemented for clarity in a separate web application.